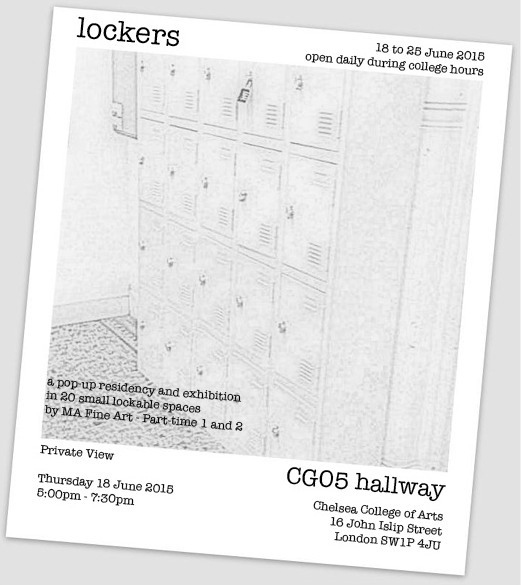 It’s a pop-up show in the CG05 corridor (near the part-timer’s base room) in which each of us takes one locker and curates an exhibition in the 30 x 30 x 43 cm cubby. It is a response to the locker as a space, a container, a set of limitations, boundaries, a wish granted, or some other response. Of course, there are only 20 lockers and almost 30 people in part-time 1 & 2 group so this might also turn into an exercise in negotiation, compromise, and teamwork! What I propose is 1-2 (or more) people choose a locker, and put an object in or installation… and then place a padlock on the door (for safety). During the exhibition, the lock is enigmatically left on or perhaps the door is left wide open for uninhibited viewing. Click thumbnail to view/download exhibition guide/map. 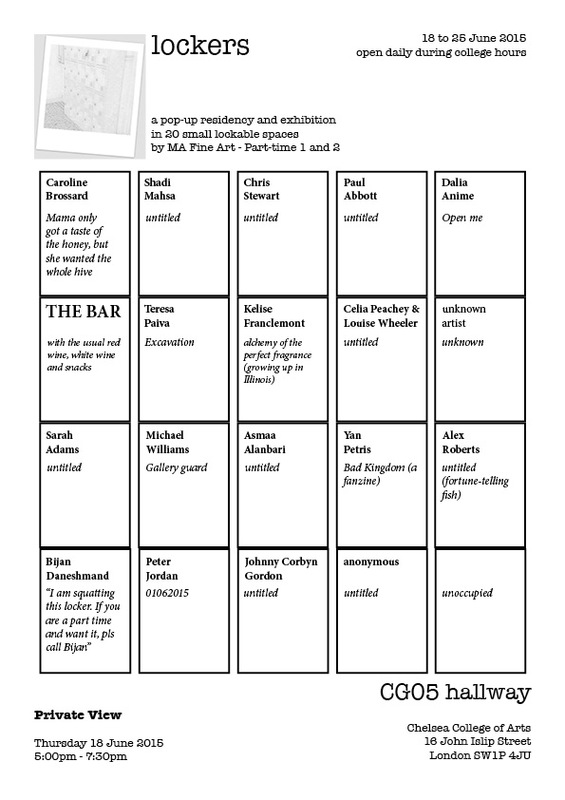 Posted in exhibitions, installation, residencies, site-specificTagged collaboration, interactive art, memory, smell art, sound art, storytelling in artBookmark the permalink.